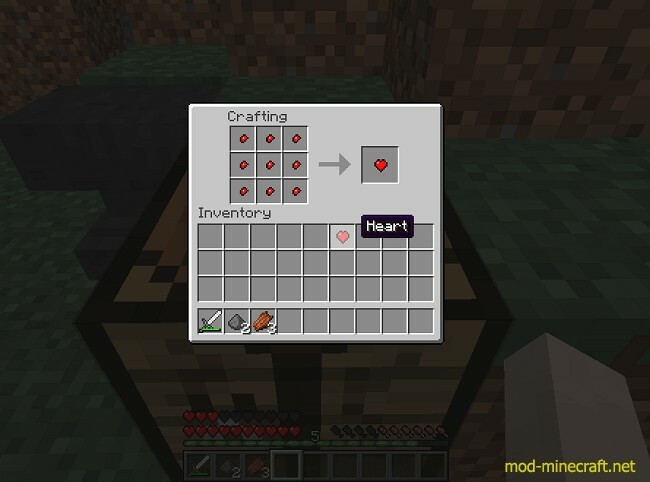 Configurable Health Mod permits players to use a configuration file to set their and most mob’s max health and starting health. 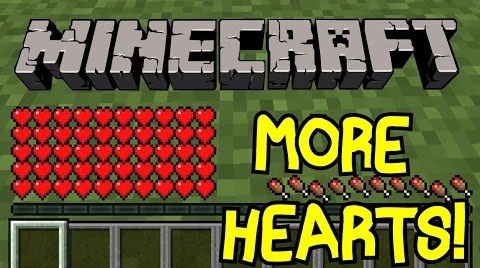 Additionally, Heart Fragments can drop from mobs and be combined to make a heart that increases the player’s Max Health by 1 Heart. If the player dies though, they will lose all hearts gained. The drop rate and max amount of hearts a player can obtain are configurable as well. Heart Fragment drops can be disabled as well if desired.